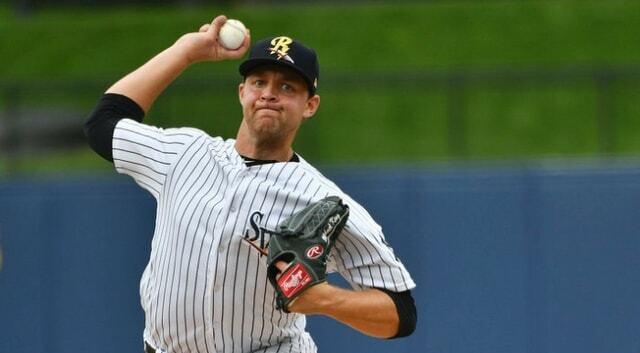 Last Friday, Keith Law released his annual top 100 prospects list, which included six Yankees. This week ESPN is publishing Law’s individual team reports, and those include not only the top ten prospects in each organization, but guys beyond that as well. It’s a crazy deep dive for each club. 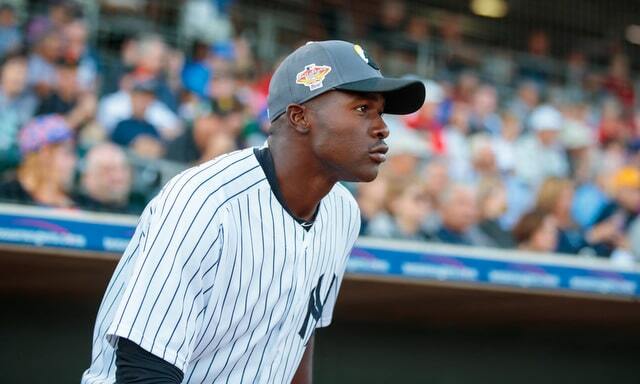 In all, Law goes through and lists his top 24 Yankees prospects. I won’t list all 24, but Brendan Kuty has you covered. I have some thoughts on the non-top 100 guys. 1. The gap between Mateo and Wade is small. It’s no secret Mateo had a disappointing 2016 season. He didn’t just perform poorly, he also got himself suspended for two weeks for violating an unknown team policy. It was a tough year for Jorge. No doubt. In the write-up, Law calls Wade a superior shortstop and hitter, though there is still “enough industry faith in Mateo’s speed and body” that he gets the higher ranking. We know Law’s rankings do not reflect the consensus — Baseball Prospectus ranked Mateo third and Wade ninth in the system while Baseball America had Mateo fourth and Wade outside the top ten, so those sites had a much larger gap between the two — and the story here should be the positive report on Wade, not Mateo’s tumble down Law’s rankings. The Yankees had Wade play the outfield in the Arizona Fall League because they’re clearing a path for him to get to the big leagues. He may not offer the upside of Mateo (or Torres), but Wade is a damn good prospect himself. 2. Law has the good Clarkin scouting report. Scouting reports on LHP Ian Clarkin were all over the place last season. 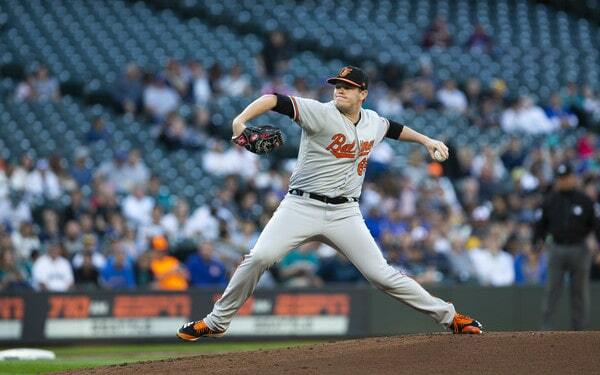 On his best days, he’d sit in the low-90s with a hammer curveball and a quality changeup. On his worst days, he was in the upper-80s with a loopy breaking ball. Law gives the positive scouting report on Clarkin, saying he spent last season “pitching in the low 90s with a good curveball.” Now that he’s a full year removed from the elbow injury that sidelined him for all of 2016, I’m hopeful we’ll see more of the good version of Clarkin this year. He’s going to be Rule 5 Draft eligible after the season, remember. This is a big year for him. “Double-A will be a good test of his ability to use his two above-average pitches to get guys on both sides of the plate, as hitters there will lay off the curveball if he can’t locate it,” added Law’s write-up. 3. McKinney’s stock is tumbling. Last season was a tough one for OF Billy McKinney, who came over from the Cubs in the Aroldis Chapman trade. He was a first round pick back in 2013, though the combination of a knee injury and poor performance have him slipping down the rankings. Law says McKinney, who he dubbed the system’s falling prospect, has a sound swing and a plan at the plate, but the “projections from high school that had him getting to average power aren’t coming to fruition.” The Yankees got McKinney as the third piece in the Chapman trade — Torres was the headliner (duh) and Adam Warren was the second piece, right? that how I’ve always seen it — and it was only a year ago that Law ranked him 69th on his top 100 list, so the kid has talent. As Brian Cashman likes to say, McKinney is an asset in distress. The Yankees have to build him back up. 4. The 2016 draft gets some love. The Yankees had a very good 2016 draft thanks to Rutherford all by himself. He was one of the best prospects in the draft class. Unfortunately, the current draft pool system doesn’t allow teams to spend freely, so the Yankees had to skimp elsewhere to pay Rutherford. Eight of their top ten picks received below-slot bonuses. The team’s draft haul was top heavy, but two other 2016 draftees still made Law’s top 24 Yankees prospects. RHP Nolan Martinez placed 21st because he “throws 88-93 mph with a huge spin rate on his fastball and good depth on his curve,” though he’s still working to develop his changeup. RHP Nick Nelson, who Law seems to love based on what he’s written dating back to the draft, ranked 22nd after “pumping 96-97 mph in instructional league with a big curveball.” Hmmm. Anyway, point is, the Yankees landed some other nice prospects in last summer’s draft. It wasn’t only Rutherford. 5. A few lesser known prospects make the top 24. Lesser known probably isn’t the correct term. Less thought about? Maybe that’s better. Anyway, among the players to pop up on Law’s farm system deep dive are SS Kyle Holder (“at least a 70 defender”), RHP Freicer Perez (“6-foot-8 and throws up to 98 mph already with good angle”), SS Oswaldo Cabrera (“an average defender with a promising hit tool”), and RHP Jorge Guzman (“has hit 103 mph and will sit at 99-100”). Guzman is the other guy the Yankees got from the Astros in the Brian McCann trade. We all focus on the top prospects and understandably so. They’re the headliners, and there’s a pretty good chance we’re going to see several of them in the big leagues this summer. Further down in the minors, it’s guys like Cabrera and Guzman that separate New York’s farm system from the rest of the pack. Talented players like those two don’t even crack the top 20 prospects in the farm system — Cabrera ranks 23rd and Guzman ranked 24th in the system, per Law — yet they’d be top ten in more than a few other organizations.